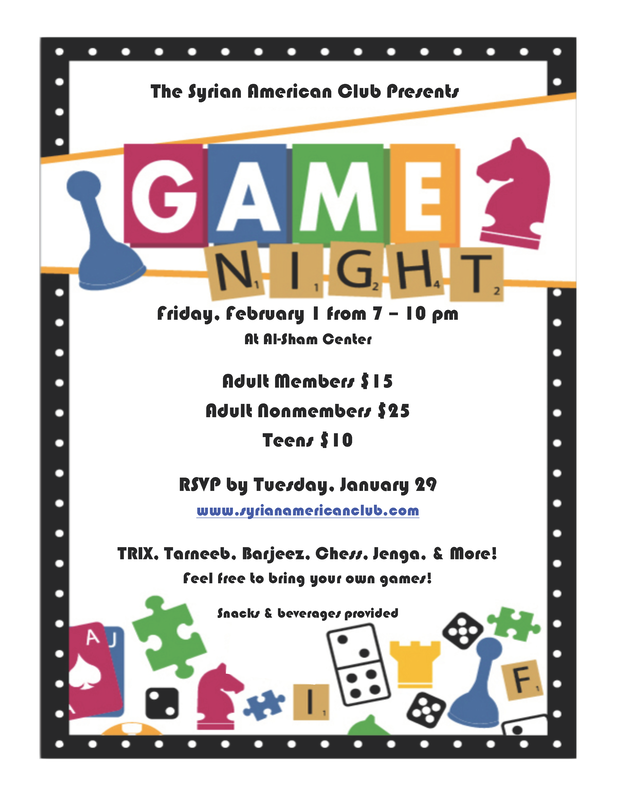 Join us for Game Night at the Al-Sham Center! 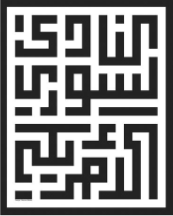 TRIX, Tarneeb, Barjeez, Chess, Jenga and more! Snacks and beverages will be provided so come out and have a great time with friends and family! **Please note that only children over the age of 15 may attend. If you are interested in attending, purchase your tickets no later than Tuesday, January 29.